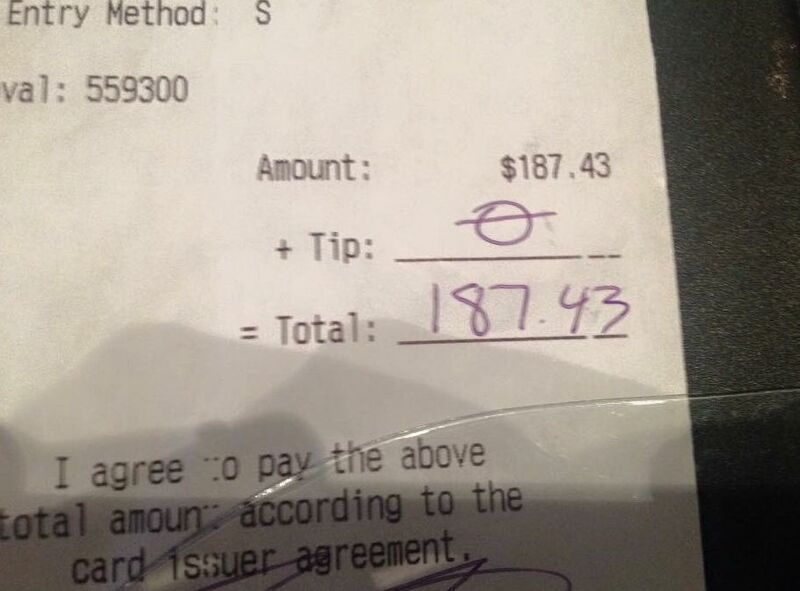 A waitress in Colorado used social media to teach a lesson about labor in America. 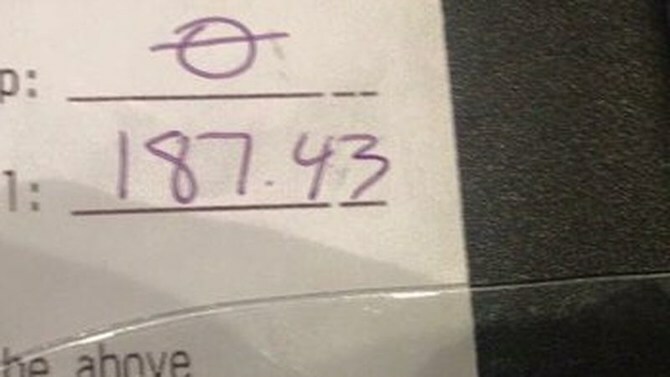 When Taylar Cordova received a tip for $0 on a bill of $187.43, she took a picture of the receipt and posted it to Facebook, reports Mic. Her post was accompanied by a passionate and articulate commentary about working as a waitress. “You are the lowest of the low,” she wrote, speaking not just to the customer who stiffed her, but also to anyone who does not tip. Whenever you feel like it's probably fine to not tip your server, that's one more bill stacking up because they're short on money. This is food for the week that our families will go without because you didn't think it was necessary, even after asking for everything under the sun and receiving it free of charge, mind you. This is one less basic necessity my daughter needs because even TWO more dollars is too much for you. Every decision has a consequence. 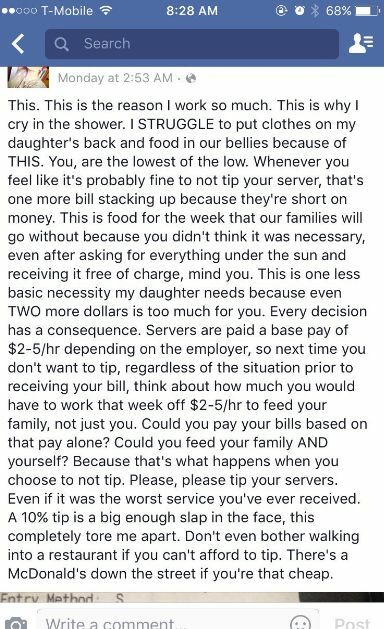 Servers are paid a base pay of $2-5/hr depending on the employer, so next time you don't want to tip, regardless of the situation prior to receiving your bill, think about how much you would have to work that week off $2-5/hr to feed your family, not just you. 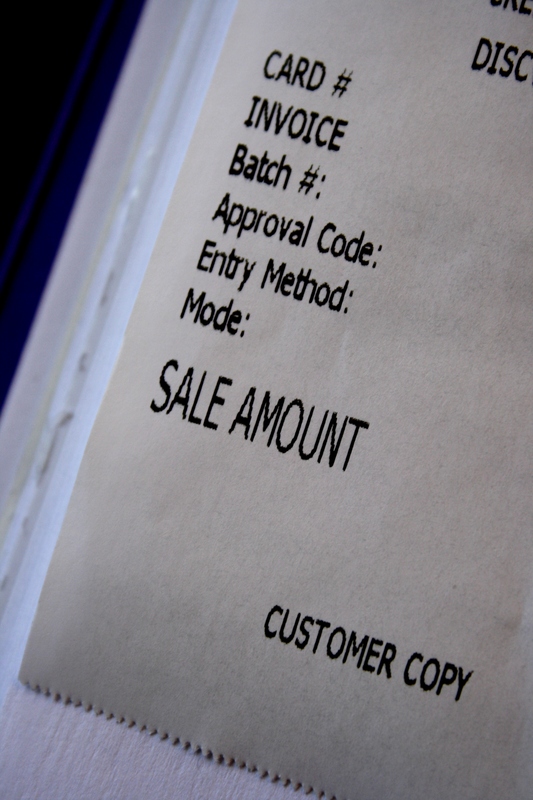 Could you pay your bills based on that pay alone? 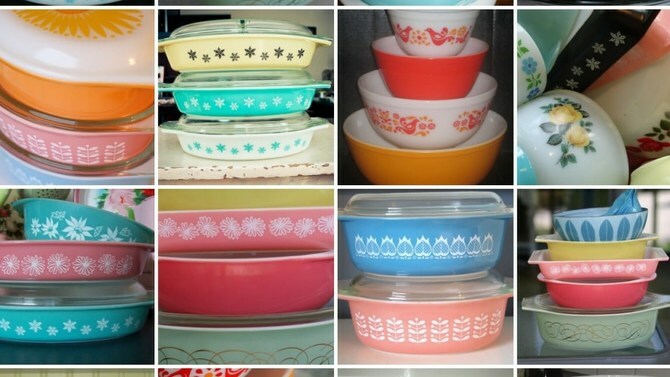 Could you feed your family AND yourself? Because that's what happens when you choose to not tip. Her message clearly resonated with the public, having been shared more than 15,000 times, reports AWM.